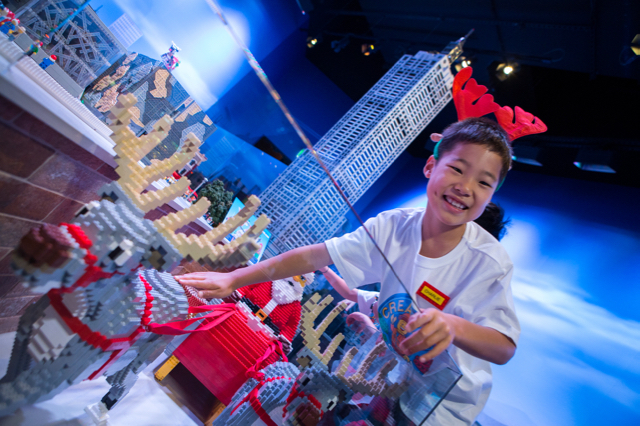 It is the season to be jolly and this year Melburnians have a reason to be merry as LEGOLAND Discovery Centre unwrapped its inaugural Christmas Bricktacular event this month. Little elves will experience the true magic of Christmas until Sunday 24th of December at the popular Melbourne attraction with festive activities scheduled throughout the month including special LEGO builds in Santa’s workshop and cupcake decorating. Junior jollymakers can also write their Christmas wish lists at a letter writing station before posting off to Santa via a large LEGO-made Santa Mailbox. While Santa will be reading these lists - and checking them twice – all children (naughty or nice) will also have the chance to meet the man in red with meet and greets scheduled daily. Decking the halls with Christmas trees, tinsel and fairy lights, LEGOLAND Discovery Centre will be transformed into a ‘bricktacular’ wonderland including its must-see MINILAND Melbourne display which will receive a magical festive makeover. Any families who come dressed in their best Yuletide look will receive $5 off the price of admission (per person) from 1-24 December. LEGOLAND® Discovery Centre Melbourne encourages families with children aged 3-10 years to enjoy a world of creativity, colour and brick-building fun in Australia’s ultimate indoor LEGO® playground. The attraction’s features include leading local landmarks made from 1.5 million LEGO bricks in MINILAND Melbourne, fun and exciting LEGO themed rides, a 4D Cinema and a LEGO Friends at Heartlake City play zone. LEGOLAND Discovery Centre is a great choice for those looking to learn and discover through play. LEGOLAND® Discovery Centre Melbourne is located in Chadstone Shopping Centre. Entrance is $32.50 per person. For more information or to book, head to the Legoland website.